When I saw that January 18 is “Bean Day”, I had to share some information (as well as recipes!). After all, this is the time of year when we can make the New Year as healthy as possible. It is also a great time to try new things. 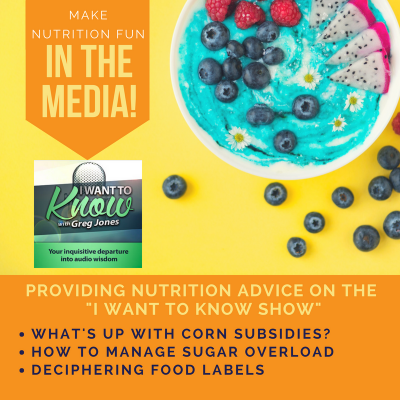 In my work with Nurture (a nonprofit organization that helps children and families to improve their nutrition and health), we focus on whole foods that can be prepared on a limited budget. Beans are of course a very important “Nurture food” given their nutritional profile and cost. 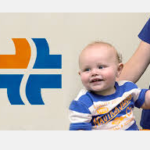 If you are interested in learning more about Nurture and how we help families to overcome obstacles to healthy eating, this recent podcast interview I gave on the “Giving Back Podcast” provides more information and resources. What are Beans? Beans are members of the Leguminosae family of plants, commonly known as legumes, which includes both beans and peas. They are natives of four continents: Europe, Africa, Asia, and South America. A bean is composed of a seed coat containing an embryonic plant and a pair of cotyledons. These tissues are made up of starch, protein, and fats upon which the embryonic plant feeds when warmth and water are introduced, stimulating germination. If you want to look at beans and see the parts yourself, take a few beans and soak them in water for up to 12 hours. The water will make them plumper and easier to split so you can identify the parts more easily. (Parents, kids love this “science” experiment that you might remember doing in school). Kids Love Beans. If you are a parent, rest assured that beans are a favorite of kids. My own kids love beans, and I remember when they were little and had friends come over for playdates and ask for “rice and beans, please” every time they gathered in the kitchen. When my kids were in preschool, I did an in-class cooking activity with the kids where we made quesadillas with beans, rice, salsa and cheese, all baked on spelt tortillas. There was one very fussy-eater in the class who kept picking out the (black) beans with her fingers–to eat them!– saying, “I love these chocolate beans!”. Beans are full of fiber and protein, two of the things that kids need more of these days in our world of processed snacks. Beans are a great source of folic acid (key to the developing brain of a fetus and an important B Vitamin). 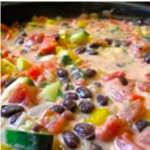 If your kids don’t like–or don’t think they like– beans, they are very easy disguised in dishes. Puree them! The bean-puree method is the basis for an all-time kid favorite, hummus (see recipe below). You’ll notice that the bean recipe frameworks assume that you’ve already soaked and cooked your dried beans or that you are using canned beans. What is better? It depends on how much time you have, what you are used to, your budget and many other factors. There has been much press about the plastics used in the lining of some cans that may have an adverse impact on health (Eden Foods is a brand that pledges safe lining). Canned foods are more processed and therefore more removed from their original state in nature. However, if you are pressed for time and need dinner fast, opening a can of beans should not keep you up worrying at night. (At least it doesn’t do that to me). 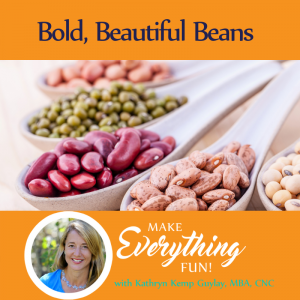 To give you even more examples of bean recipes improvised through the application of the Recipe Frameworks, Julia Goodhouse, Tanya Nargolwalla and I came up with some ideas (tested on kids, too). Thank you again, Julia and Tanya, for your incredible creativity! red bell pepper, onion, lime juice, cumin, oregano, chili powder, bay leaf, salt, pepper olive oil, chicken stock, avocado, cilantro, plain yogurt or sour cream Saute onion and peppers in olive oil. Add seasonings, stock, and beans. Cook about 20 min. and add lime juice. Taste for seasonings. Serve over rice with chopped avocado and cilantro. Julia Black Bean Crostini black beans, scallions, tomatoes salt and pepper, chopped garlic mixed with olive oil, feta cheese, whole wheat baguette Slice baguette and brush slices with olive oil and garlic. Lightly toast under broiler. Mash black beans and add scallions and tomatoes. Spread on toasted baguette slices, sprinkle with feta cheese and broil until cheese melts. Kathryn Greek White Bean Salad white beans, lettuce, cucumber, tomato, red onion Olive oil, balsamic vinegar, tarragon, feta cheese Great to use all those leftovers. If your kids don’t like salad, omit the lettuce and mash the rest of the ingredients (beans, tomatoes, and cheese) and spread on cucumber slices or crackers. I omit the onions when serving kids. Kathryn White Bean and Escarole Soup white beans, onion, escarole, celery, carrots, parsley (for garnish) Olive oil, garlic, nutmeg, parmesan cheese (sprinkle on top of soup) You can substitute any kind of green—spinach, kale, chard, collards, beet greens, etc. or combine them. Kathryn Southwestern Salad Kidney beans, Lettuce, Tomatoes, avocado, red onion Cilantro, lime juice, olive oil, cheddar cheese So easy in the summer. If your kids don’t like salad, toast a tortilla and spread the goodies on top for an open-faced sandwich. Again, omit the onion if your kids don’t like the taste. Kidney beans are a little pink; advertise this with female children that love this color! Tanya Chola (Indian Chick Peas) chickpeas (garbanzo beans), chopped tomatoes, diced onions, garlic, ginger (optional) Cumin, turmeric, salt Sautee onions lightly, add spices, ginger, garlic. Add beans and tomatoes. Cook till beans are done. 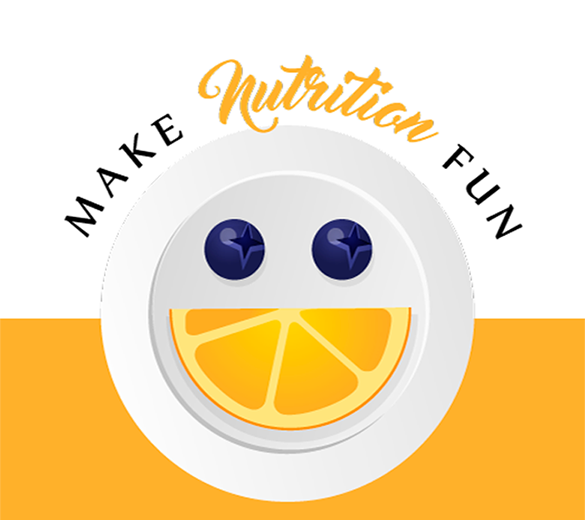 If you are looking for still even more recipes, please check out the recipe database at Make Nutrition Fun. 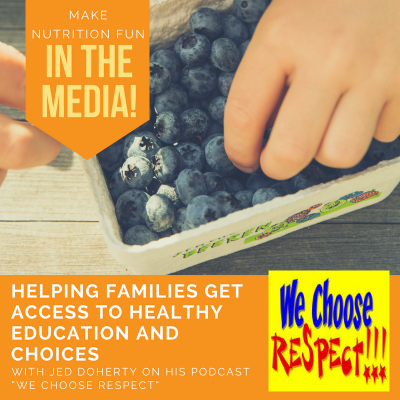 Health from the Heart Podcast Explores: When is the right time to start educating kids about nutrition?